When Guardian announced it was re-entering the protection market towards the end of 2017, it sent ripples across the industry. A far cry from the owl ads of the 90s ('two-eight-two-eight-two-O'), few could have anticipated quite how disruptive this new entrant’s critical illness and life proposition would prove to be. 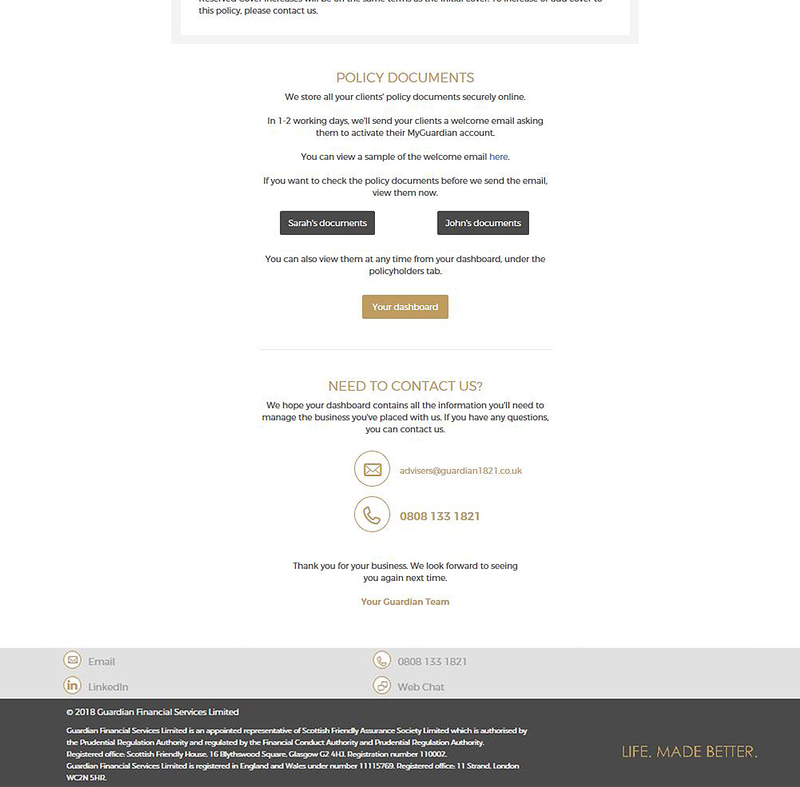 ‘Broader, simpler definitions’ read the news story on COVER last May, and with it came the unveiling of fresh new concepts such as Payout Planner, Protection Builder and dual life policies. Guardian’s brand promise is ‘Life. Made Better.’ for everyone – and we hope you’ll find this eBook useful. When a couple take out a critical illness policy together, they quite rightly expect that they’re both covered if they get critically ill. What they don’t expect is that if one of them gets ill the other is left completely uninsured. What’s more, they’re older now, and their health might not be so good, so getting the protection they need is likely to be far more expensive. If they can even get it at all. Why is it still the norm to only offer product improvements to new customers? We’ve all been there – seen a better deal with our electricity or mobile phone provider than we’re getting as a loyal customer. This has become the norm with protection insurance too. Providers are constantly improving their critical illness definitions to give wider coverage, but it’s usually only available to customers taking out a new policy. As a customer, you don’t expect to buy a critical illness policy one day and find it’s out of date the next because your provider had improved its cover. This, I believe, is a fundamental issue in our industry. We often see stories in the press about claims declined for a condition that would have paid out if the customer had bought the policy more recently. Applying improvements to existing customers’ policies should be standard practice. We’ve made this commitment to all our customers which means a Guardian policy will be future-proofed. In most cases we’ll apply improvements for free. Sometimes we may make a change that we can’t automatically upgrade, and if this happens we’ll offer it to existing customers at the same price our new customers get it for. We know a joint life accelerated critical illness policy is designed to pay off a single mortgage. But how many people are actually in the same house, with the same mortgage, or even with the same partner, when they get to the point of making a claim? The way this product is built means that when one of the ‘joint lives’ falls critically ill and receives a pay-out, they’re left uninsured. That’s a frightening prospect when now is the time they probably need life cover the most! And as it’s a joint life policy, both are now left without cover. We believe there’s got to be a better way. At Guardian, we believe joint life first event isn’t in customers’ best interests. It simply doesn’t give them the protection they need as their lives change in terms of their likely health. Instead, we offer dual life policies. Just like joint life, you can apply for two people at the same time, but we give each person their own policy with their own cover, and we apply a multi-life discount. This means in the event of a claim, unlike a joint policy, the cover remains in place for the other partner. Which is exactly what customers would expect. Finally… Critical illness policies have made huge strides forward recently. We just hope the changes we’ve introduced will encourage the industry to follow suit and build, not just more flexibility, but products that are truly designed to cater for the many ways customers’ lives change over the years. My challenge would be that we stop thinking about simplifying products and look at the wording we use in our terms and conditions. We need to make it clear what customers are buying. So, when they come to make a claim, they don’t need to worry that they won’t ‘meet the definition’. And we, as providers, won’t need to disappoint them because they’ve not had a ‘serious enough’ heart attack, for example. We’ve been quite bold with our definitions wording. But I’m not suggesting we couldn’t do more. We believe we’ve made a huge step forward, and we really hope that this will create positive change in the industry and encourage other providers to push even further. We’ve made the wording in our terms and conditions as simple as we can. And for as many conditions as possible, we’ll take the word of a UK Consultant rather than asking for detailed medical evidence. And that’s why we don’t offer accelerated critical illness cover. We don’t want our customers being left vulnerable once they’ve made a claim. 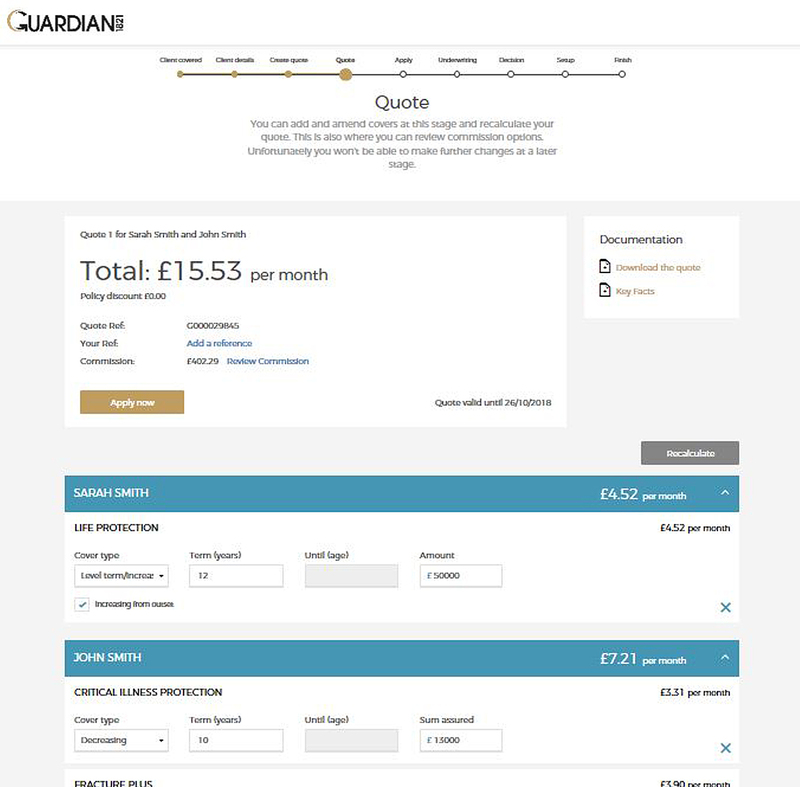 With Guardian, you can still quote and apply for life and critical illness cover together, but we create two policies and we apply a multi-product discount. So, the customer has two separate policies which means they still have life cover in place if they ever make a critical illness claim. And if you apply for a dual life policy, we create four separate policies which means four potential payouts. As an industry, we’ve recognised over the years that people’s lives change and that this has implications for the protection they need. As a result, you’ll hear lots of providers telling you they have ‘flexible’ policies. But in my opinion it’s not just about flexibility; we need to go right back to the drawing board and address the way policies are built. In many cases, products are not designed to suit customers’ changing lifestyles. Looking at critical illness in particular, here are just a few examples. We’ve focused a lot over the years on creating simplified products – only covering the three most claimed-for conditions for example. Yes, that does make it easier for customers to understand. But it leaves you, the adviser, at risk if they get critically ill with, say, the fourth most claimed-for condition. How would you feel having that conversation? How did your involvement with Guardian come about and what made you decide to relaunch the brand? 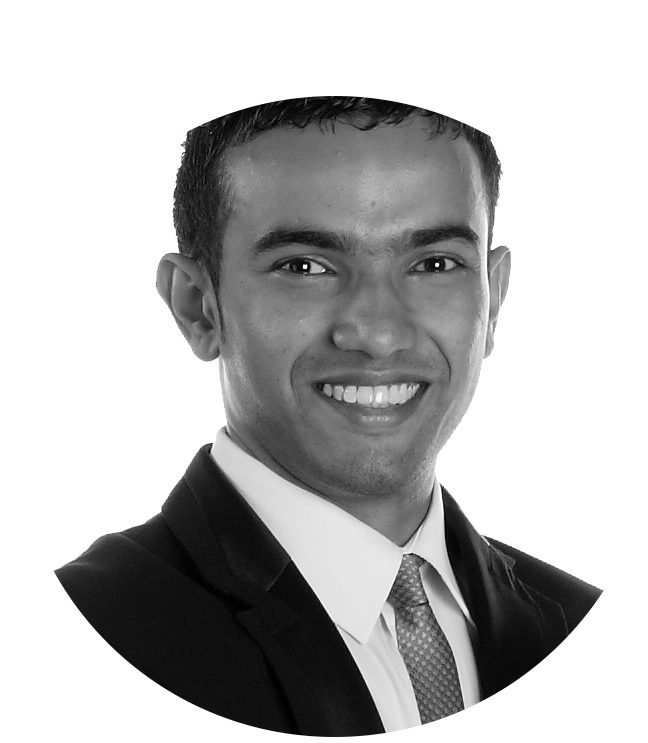 I set up my own consultancy business in 2010, and in 2011 I was approached by Cinven to be part of their team as an executive director. 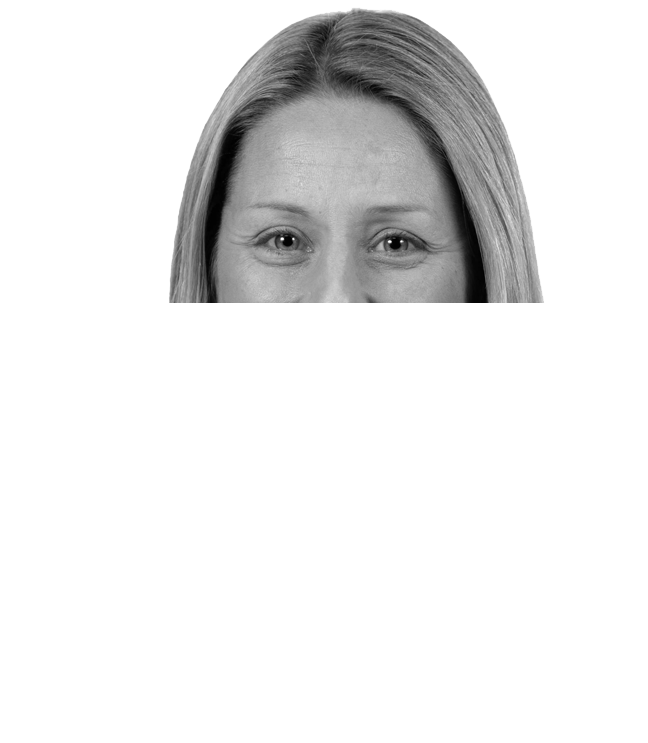 This was the executive team to acquire Guardian from Aegon and build it into a consolidator business. If we step back a bit, Guardian Assurance was originally the main business and this had been operating since 1821, so a long time. It was originally a fire and life business, but it became a little bit more than that, and they had other subsidiaries that were working alongside that. There was Guardian Pensions Limited, Guardian Financial Services Limited, Guardian Pensions Management and Guardian Life Assurance Limited. But essentially Guardian was a fully-fledged life assurance business. It also then had general insurance business – so car, motor, that sort of stuff. In the 80s and 90s, there was the owl logo and the dial ‘28 28 20’ campaign. 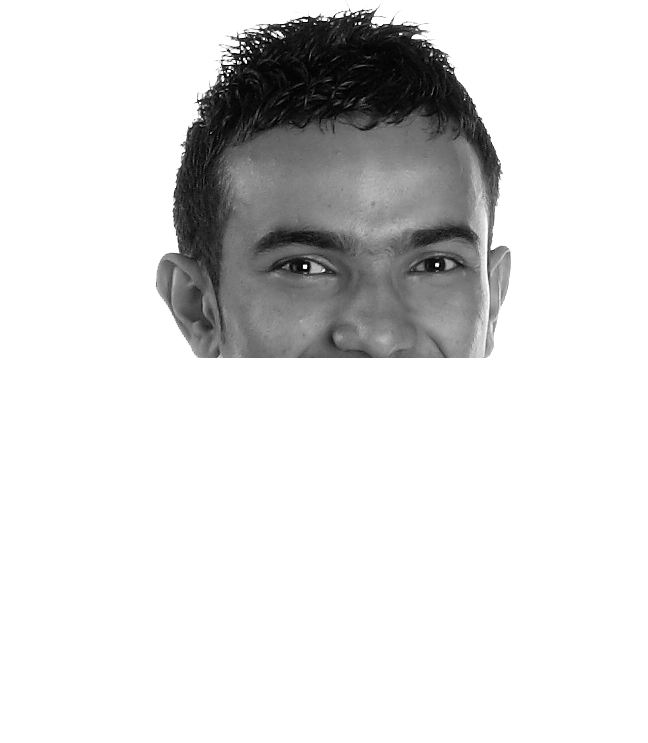 It was a big high street brand with good presence, which had been in business for a long, long time. Aegon bought it in 1998 and basically ran it as a closed business. They didn’t really invest in it, the marketing cooled and the TV adverts dropped off. Cinven, as a private equity firm, identified it as an opportunity and when I was head-hunted to join the team to start that business off, I was delighted to be part of the Guardian business at that time. When I Ieft Guardian in 2013, and went back to running my own consulting business, I had a clear understanding of Guardian as a brand. I then helped co-found the Gryphon Group Holdings business and got involved in 2016 again with Guardian. How did you set about building a team of experts and what challenges or teething problems did you encounter while putting together the proposition? I met a number of experienced individuals at Prudential when I was director of strategic planning for UK and Europe. Dan Pender and I left Prudential with an idea and created a business plan. But, as with all these things, a great idea is only a great idea if someone is prepared to back you with money. We found people who were interested in supporting us, and that led us to Punter Southall Group. We started the process off with some initial seed money from Punter Southall and that then enabled us to bring in more expertise to support us in putting meat on the bones, so that we could take it to the investor market. That expertise included many of the individuals who are part of the Guardian Senior Management Team today. 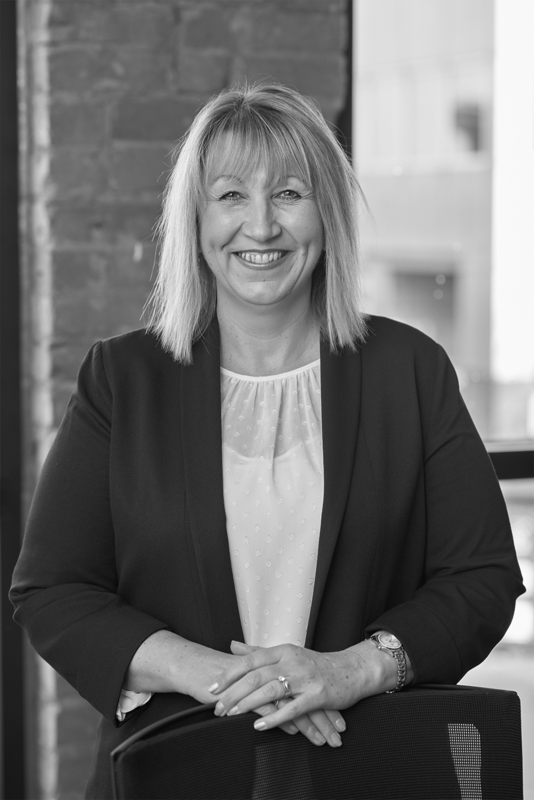 Expertise included Dennis Smith, who used to be CEO of M&S Life, and Julie Hopkins who is a well-known and respected reassurance and insurance underwriter and claims person. Chris Walker and Duncan Mosely who are steeped in IT and operations from the life insurance sector. 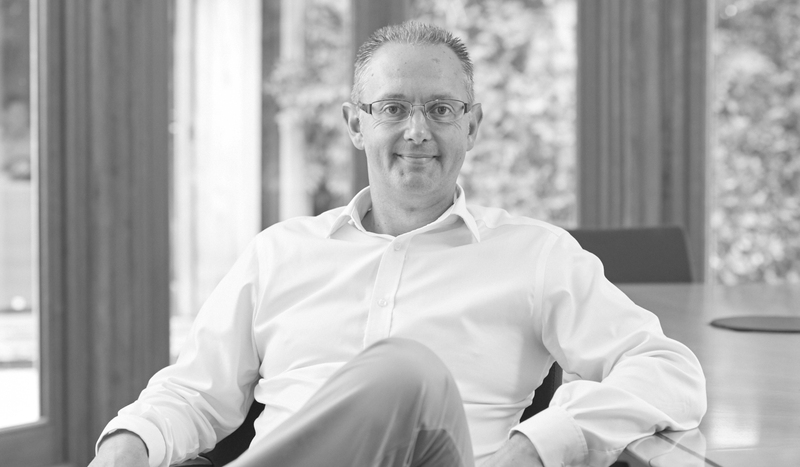 As well as Andy Peters who was Distribution Director of protection start-up Bright Grey. What I would call a super-skilled, very experienced team of people who know what they’re doing when building out that core capability. 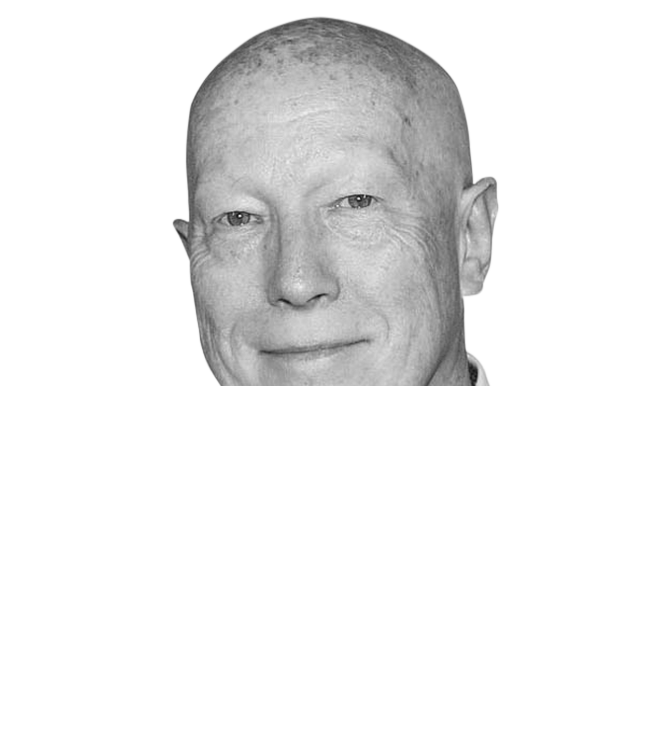 Working for Touche Ross (which later became Deloitte) in 1986, Simon Davis started his career as a chartered accountant. However, it was in protection that he truly found his passion. Inspired by the ‘man from the Pru’ work of his father-in-law, he held positions in places such as Windsor Life, Swiss Re and Prudential. He also ran his own consultancy firm. But it wasn’t until his decision to breathe new life into Guardian, and its protection proposition, that Davis’ vision for disruption really came into its own. We sat down with the Guardian chief exec to discuss his career so far, the history of the brand and what impact he hopes his new challenger will have on the future of the protection market. What made you personally decide to move into the life insurance space? My interest in protection goes back a long, long way. When I met my wife I was 15, and we’ve been married for 32 years. 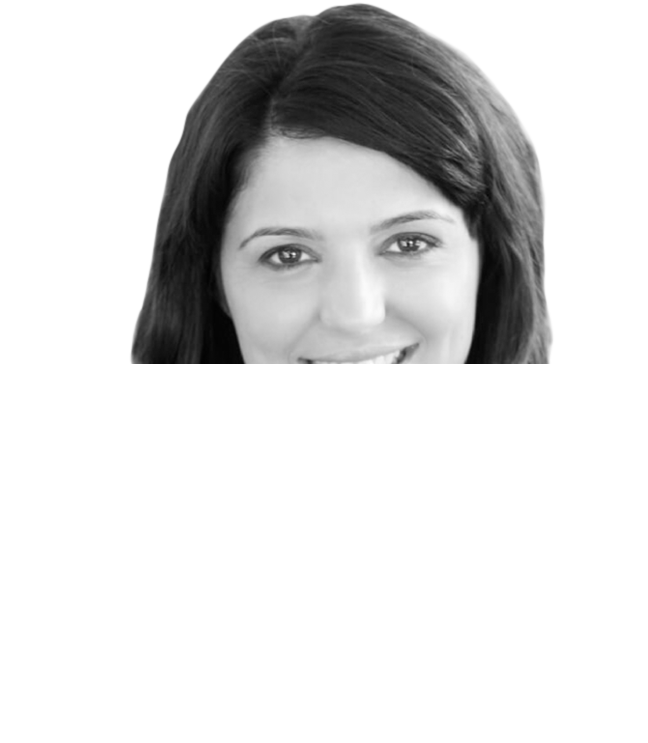 Her father was an insurance salesman and he worked for 20-plus years as a door-to-door salesman, becoming a manager. Being part of the family, I heard his stories of going around to meet people, selling protection, whether it be life policies, income protection, critical illness… In particular, what hit home for me were the stories he used to tell about the people who contacted him years later to say ‘I’m so glad you persuaded us to buy this policy because my husband’s had this accident, he’s not able to work, and my critical illness policy has kicked in and we’re now not being thrown out of our house’. Or ‘I’m now a widow – three weeks ago my husband died and because we’ve got a life policy with you I’m not going to lose my home. My kids are not going to have to move school.’ So it was the personal, human aspect of protecting families that drew you in? Absolutely. The personal issues that people have to deal with at times of real need – when they’re grieving, when they’ve lost someone or they’re really, really ill; they’re going through chemo or something like that. The challenges you face where you don’t want to have to worry about money, as you’ve got enough to be worrying about. And a lot of those stories really centred me, I guess, in terms of why life insurance is really important. So when I was thinking about my career path, the insurance industry to me was not something out to rip people off. A lot of people think that’s what happens, but it’s actually something of real value. What about the proposition, what is it you set out to achieve? We definitely had a great vision for the proposition and what we felt was the right thing to do. The key for us was putting the customer first, and doing what the life insurance industry should be doing for customers. Our perspective - our view and philosophy - has been always been that we thought we could do things better. We saw an opportunity in being unconstrained when it comes to legacy systems and processes. Most companies are encumbered with that, but we’ve got a blank piece of paper, so we thought: ‘Wouldn’t it be great to have an opportunity to design a life insurance business from scratch?’ Shaking things up a bit and being disruptive, that’s what it’s all about. Doing something better for customers is something the FCA has been pushing the industry to do over many years and we were thinking we could build a business model to do exactly that. 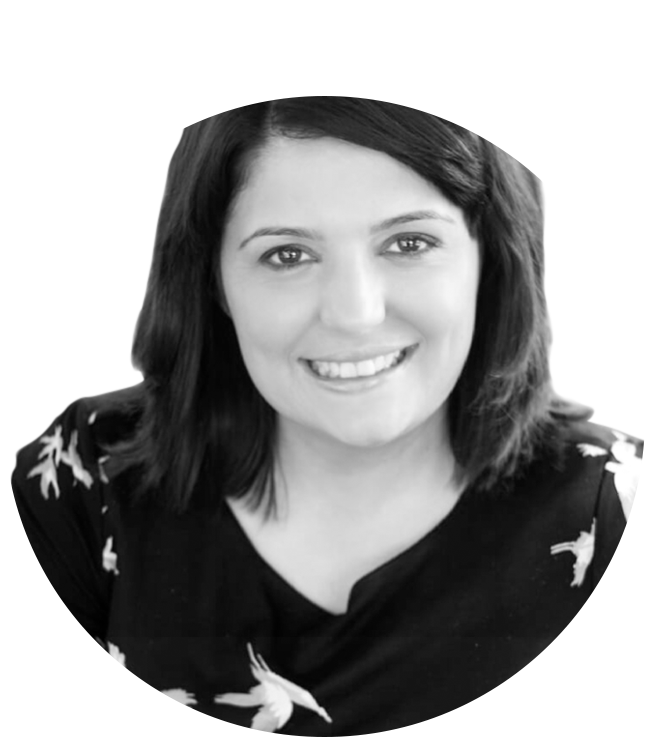 Advisers are very important to this too – you need to have good systems and processes in place so that you can deliver what you say you’re going to deliver in the way that you want it to be delivered. You also need to think about access; how you’re going to get it to customers. So, for us, we absolutely believe in the need for good quality advice. For protection, we fundamentally believe it should be advised and not bought directly. The needs of customers are not simple, they’re complex, so what’s offered needs to be bespoke and structured correctly for customers. This is where we show Reserved Cover if your clients are eligible – they’ll also find it on their cover summary. At this stage, you can change and update the covers and amounts to fit each client’s budget – just remember to click ‘Recalculate’. You can add Fracture Plus Protection to Life Protection or Critical Illness Protection – for one or both lives. 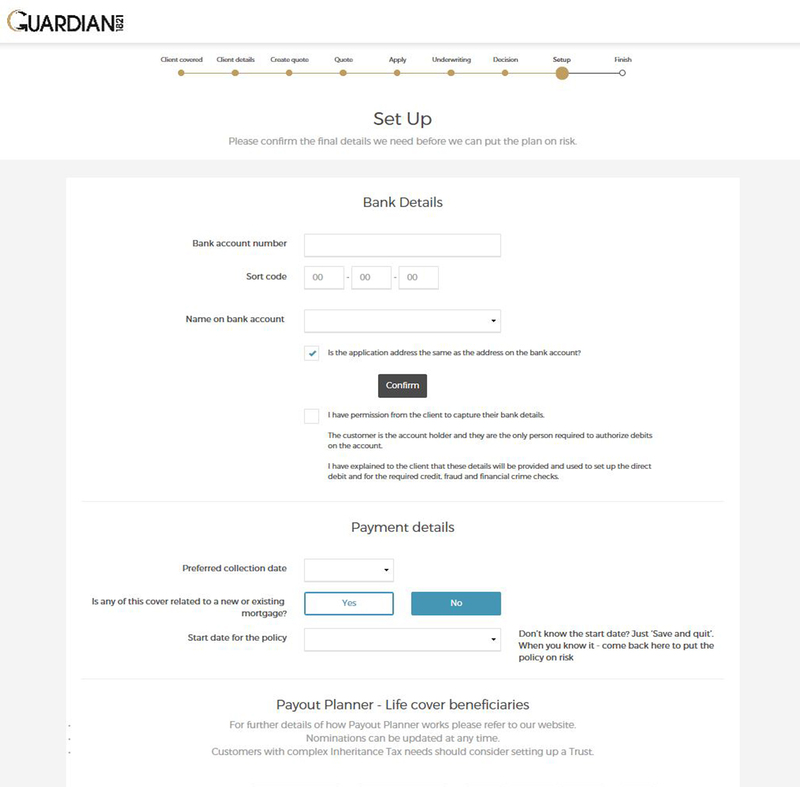 Guardian’s Protection Builder allows you to offer your clients multiple covers in different combinations in a single online journey. 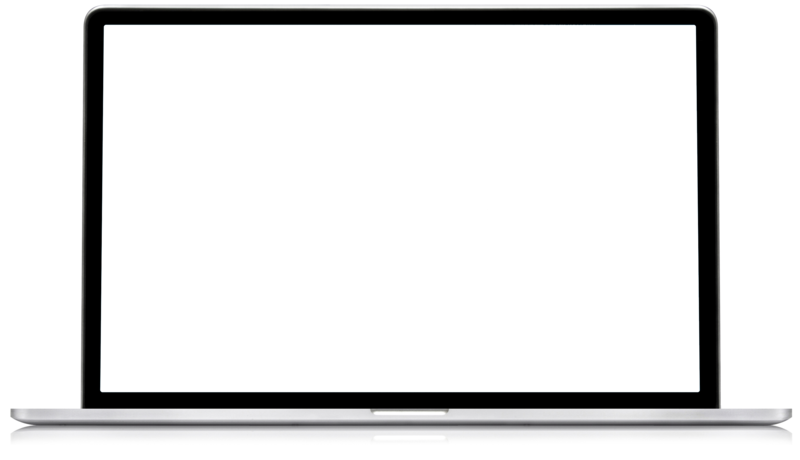 Designed to make life better for you and your clients, it’s both smart and easy to use. Click through the screens below for a taste of what makes this journey better. We’ll document this on each client’s cover summary so it forms part of their contract. We call this Payout Planner. Any beneficiaries can be changed in the future and any trust would supersede the Payout Planner. 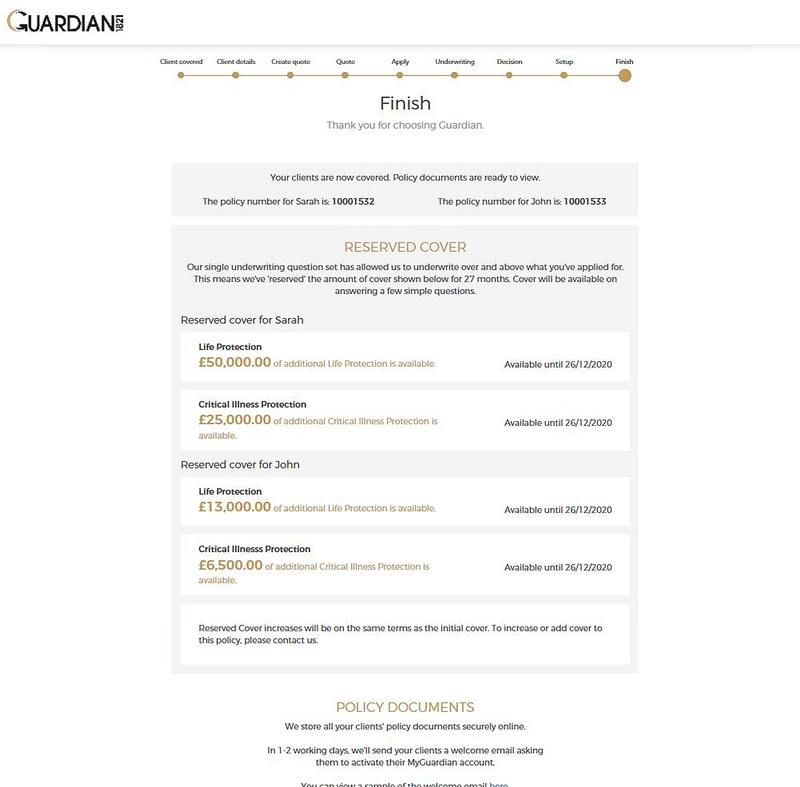 On this screen, you can click ‘Review commission’ to choose the percentage of indemnity and non-indemnity you’d like on a case-by-case basis. You can also choose how much commission you’d like to sacrifice. 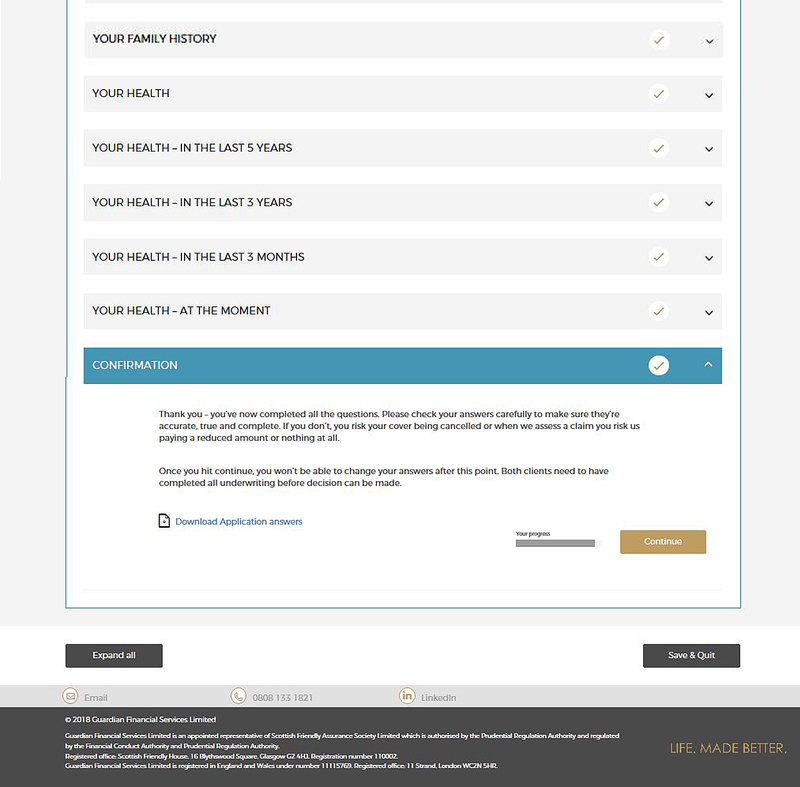 We’ve shown our basic journey here – but our smart form automatically responds to your answers to give you more relevant questions for each client. The form has a logical flow and is easy to use. Paying the intended person An even greater risk for unmarried couples is that they’ll never be entitled to receive the payout at all. This affects a significant and increasing number of people. In England and Wales, co-habitees of all ages who have never been married increased by 44% from 2002 to 2016. The significance for those taking out protection is seen in the proportion of couples who were living together in 2016, ranging from 20% to 40% split by the male age groups from 30 to 59. Life cover taken out on a dual rather than joint life basis ensures both partners – and their dependants – are properly protected, no matter what life throws at them later. The only problem is the lack of a second policyholder to pay out to. That’s why we, at Guardian, have chosen to offer customers an equivalent but more flexible solution. Instead of adding a second policyholder, they can nominate a beneficiary to receive the death benefit. Or more than one if they want to – up to as many as nine. And if circumstances change later, updating the nomination is as easy (if not easier with our processes) as updating an expression of wishes for a pension-related death benefit. The difference being that you know it’s your nomination that counts, not the discretion of trustees who don’t even know you. So for customers it’s got all the benefits of a flexible split trust, but without the complicated paperwork and trouble of getting trustees on board. 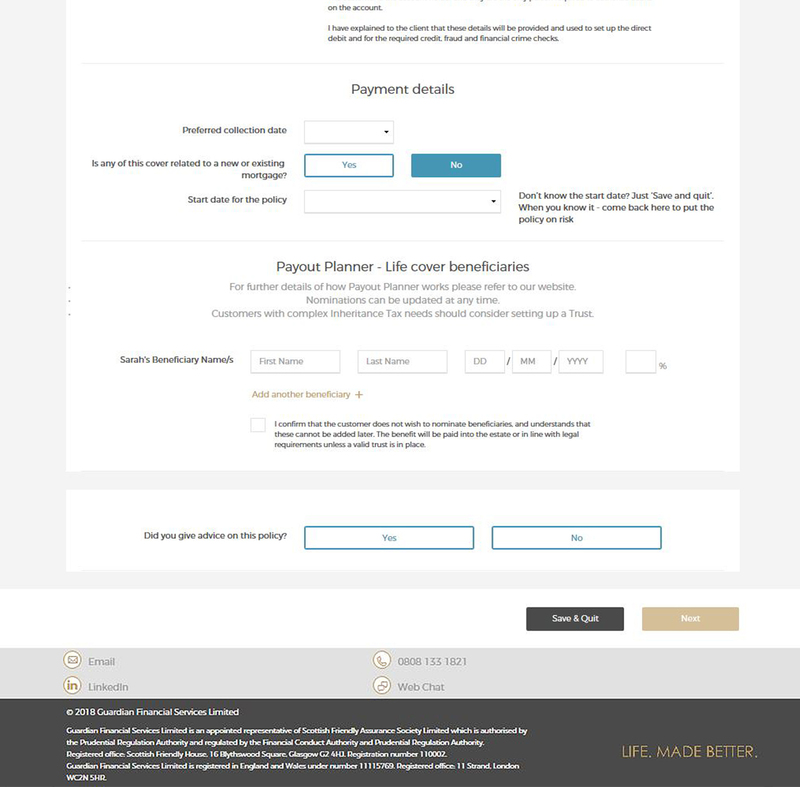 How important is it to ensure customers opt in to Payout Planner? It’s not important at all if a trust is set up and a trustee has been appointed who’s likely to be around and can be depended upon to do the right thing at the time of claim. 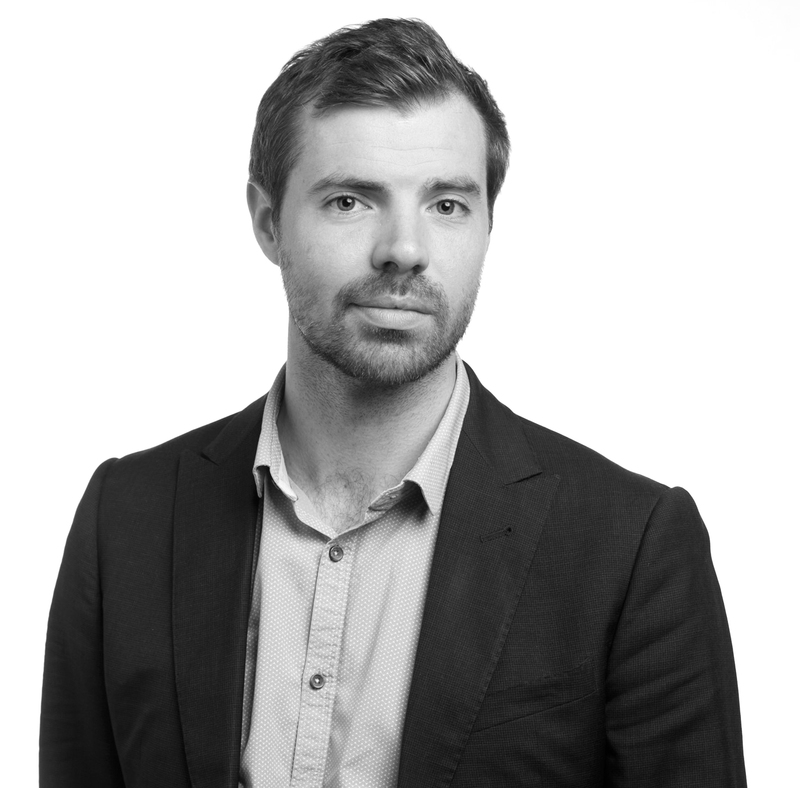 But judging by the continued low take-up rates of trusts – averaging somewhere under 10% with even fewer getting trustees appointed – it seems likely this applicant spoke for the majority when he wrote, “I thought I could just put beneficiaries on it and then they would get the insurance payout fast if I died... But no, I need a trustee, why is this? 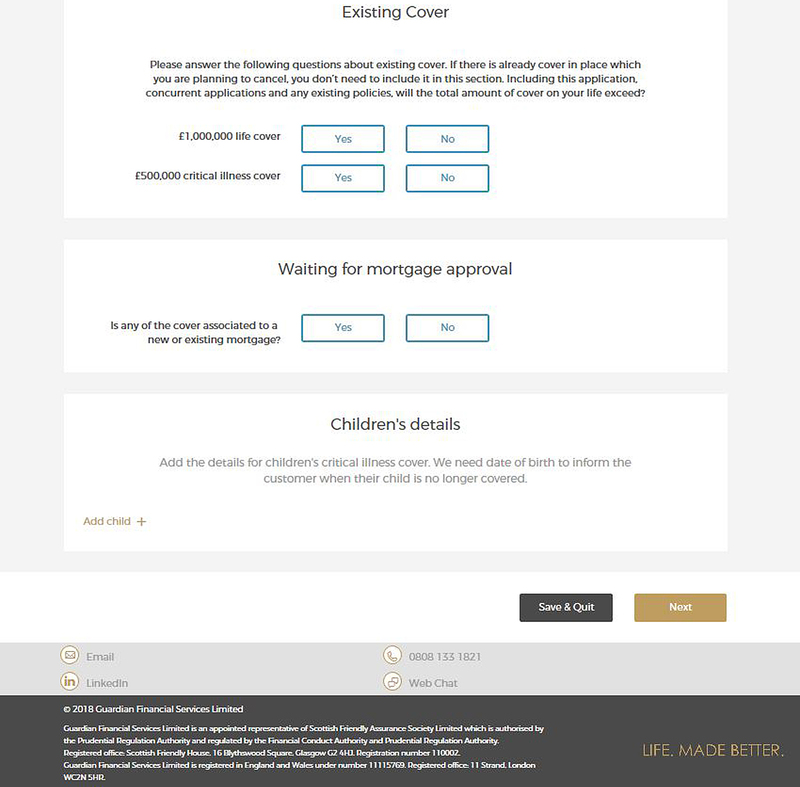 All I want to do is get the payout to my wife as fast as possible, not give it to a trustee to say how/when she gets it.” So to ensure a fast payout, it’s very important to select the Payout Planner option we offer in the application. Otherwise, bereaved loved ones may be left to the mercy of when probate might be granted. This can be many months or even over a year away. Aligning customers’ and advisers’ best interests Advisers have demonstrated a commitment to ensuring prompt payment to the right people. They’ve done this through the efforts of the Protection Distributor's Group to improve outcomes with its Claims Charter, and through the almost heroic efforts of some intermediary firms to get people signed up to trusts despite the cost to their business of doing this. At the other end of the scale, some intermediaries find it too risky to even get involved in trusts for fear of being seen to be “giving legal advice”. At a stroke, the alternative of nominating beneficiaries in the application deals with all these issues at a fraction of the effort. And as the solution becomes more widely available, the risk/compliance balance tips the other way. It’s over 10 years since the industry was pushed by the regulator about this, when Hector Sants as Head of the Financial Services Authority wrote to the ABI urging insurers to find a way to ensure death benefits were paid more promptly. The issue lost regulatory attention in the maelstrom of the financial crash which followed soon after. However, it could be coming to the compliance forefront again with the implementation of the Insurance Distribution Directive in October 2018 and its overarching principle of acting in customers’ best interests. 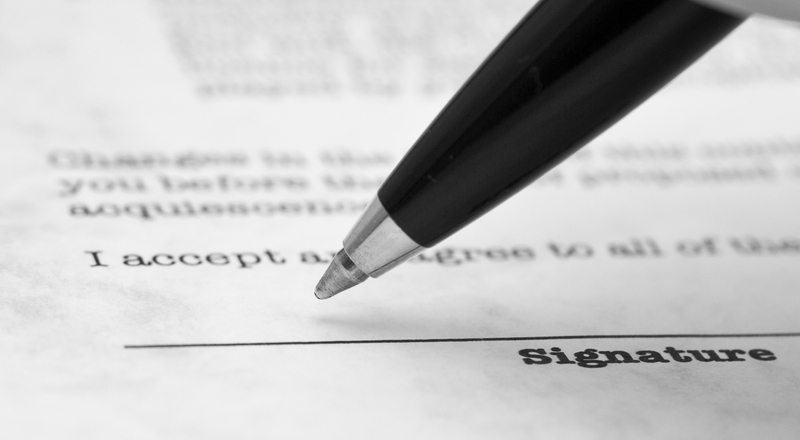 Now that there’s a straightforward way to make sure the intended person is paid promptly, it may be difficult to explain how missing that step out in the application was in a customer’s best interests. 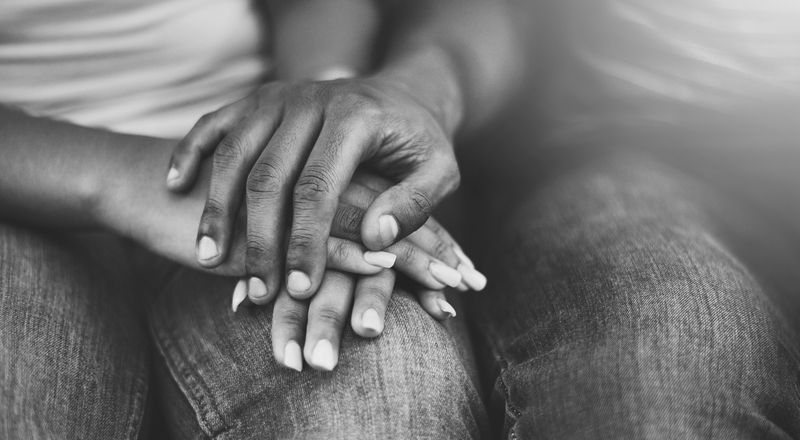 If they don’t deal with it by nominating a beneficiary in Payout Planner, setting up a trust or writing a will, these couples won’t be entitled to receive each other’s life cover proceeds. A 2017 survey commissioned by Unbiased.co.uk found that only 28% of 35-54 year olds have made a will. 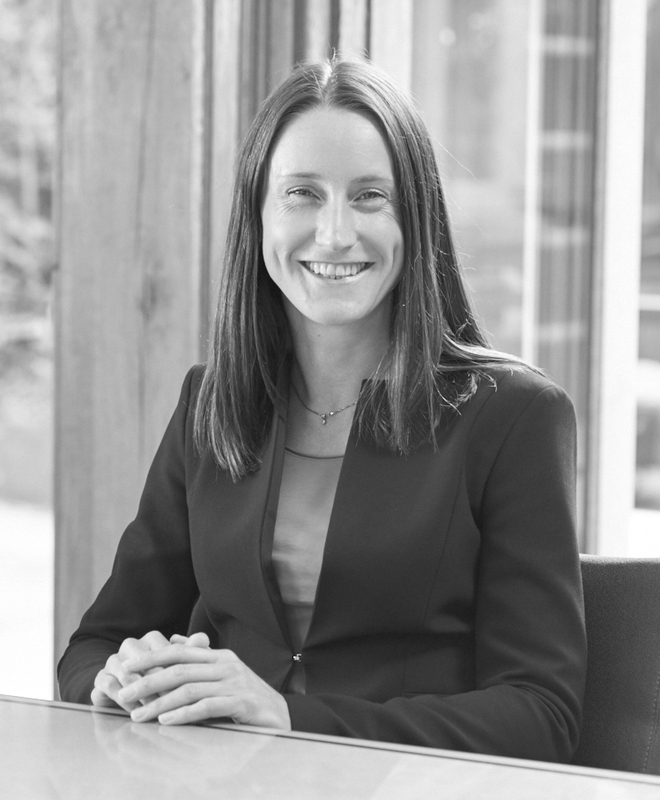 The real inheritance tax risk Historically, the industry has put a lot of effort into helping make sure life cover doesn’t inadvertently create an avoidable inheritance tax (IHT) bill. But laudable as this might be for protecting the interests of wealthier clients, for well over 95% of protection customers, the IHT angle is of little to no relevance. 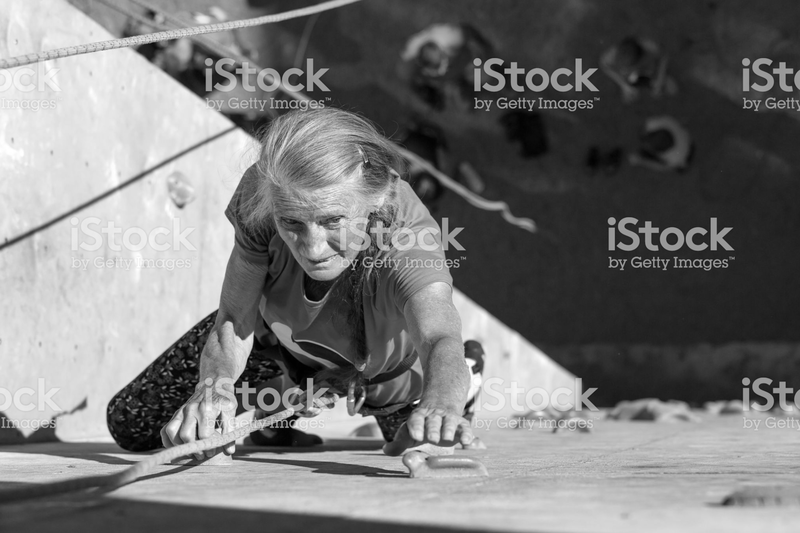 For these people, the bigger risk from IHT has been that emphasis placed on it in trust explanations may lead them to assume putting their policy in trust is an unnecessary complication for them. Although the amount of IHT paid has been going up, the number of people dying with enough wealth to attract IHT has been under 5% for a long time. And it’s set to remain at around 4% for the next few years. Of these, less than a third have life policy proceeds. That’s why even though Payout Planner keeps death benefits outside policyholders’ estates for the sake of simplicity, future-proofing and the benefit of the minority, IHT isn’t the main part of the story. And your lives, as advisers, will be made better for knowing that working with us will be effortless, and that our policies will help you give the very best advice. Making life better for you through an efficient new business process saves you time. The more time you can spend with your clients, the more people in the UK will be protected from the consequences of serious illness and death. So maybe there isn’t a single solution to our protection problem. But I think increased consumer engagement, with protection advice at its core, will go a long way from where we are today. I’ve worked in the financial services industry for over 35 years so I’m very familiar with the problems we’ve faced over the years and how we’ve risen to the challenges of new legislation like RDR, MMR, gender-neutral pricing, the credit crunch and so on. I’m always amazed and delighted at the resilience of the adviser community, which doesn’t just deal with the challenges but creates business opportunities to prosper at these difficult times. The biggest hurdle we’ve still to overcome is consumer engagement We’ve seen the emergence of direct-to-consumer life insurance comparison sites encouraging people to buy their own life insurance. It’s easy – just a few simple questions. It’s quick – only takes a few minutes. It’s cheap – just a few pennies a day. But are people buying what’s right for them? For some, absolutely. But how many people know you can get decreasing life cover? That they can have waiver of premium for a few pence or even at no extra cost? That terminal illness cover definitions will differ depending on the product and the provider? That you can now nominate beneficiaries as part of a life cover contract to remove the death benefit from the estate and avoid the hassle of dealing with probate? That’s quite a long list for just life cover, which many still believe to be a commoditised product. Huge growth potential At Guardian, we want to grow the protection market. We think there’s a huge opportunity for you to talk about protection, whether you’re giving mortgage advice or wealth advice. Our ambition is for every family to have protection that they truly believe in. And we believe the only way to achieve that is if it’s sold with quality advice. You’re already having financial conversations with your clients. But when you consider how many mortgages are taken out in the UK every year, the number of protection policies sold isn’t anywhere near close. And the same applies to wealth advice. So why aren’t consumers buying protection through you? Lack of trust in the products? The process? The perception that protection is too expensive or that policies don’t pay out? The fact that you don’t have enough time to advise every client? I think it’s all of the above, but that’s not a reason to do nothing. 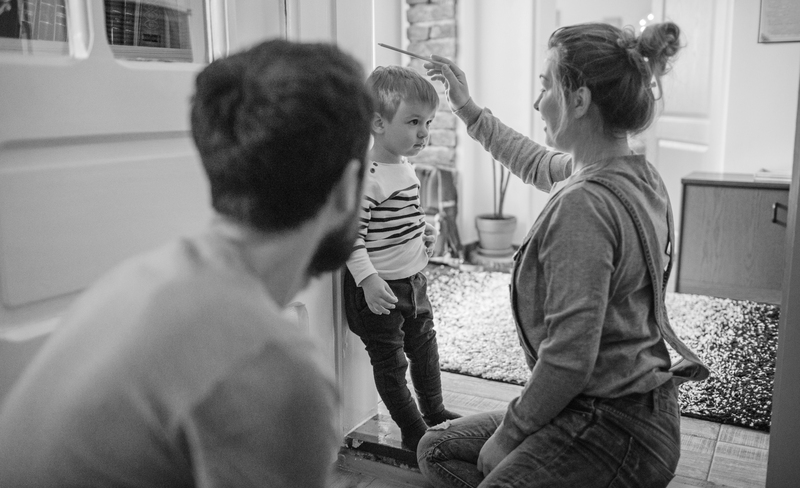 If we can get protection at the heart of all your advice conversations – make it the cornerstone of all financial planning – so many more families would be protected. It’s an easy win because the conversation’s already taking place. The client is in the right headspace to talk about their protection needs. And, as an adviser, you’re best placed to explain how suitable and valuable the products are. But we, as providers, need to make it easier for you. Protection insurance is complicated No matter how much we tell ourselves as an industry we’re ‘making it simple’ with simplified products or simple definitions wording, for customers it’s complicated. Just ask your friends (who don’t work in the industry) next time you’re out for a drink. They understand the concept, but ask them to explain how different policies work in detail, and you’ll likely be met with an empty stare. More importantly, people are complicated. Their protection needs are complicated. Even if they’re savvy enough to know they need cover for their mortgage and monthly outgoings – do they know how much they need, how long they need it for and which type of cover best fits their needs? 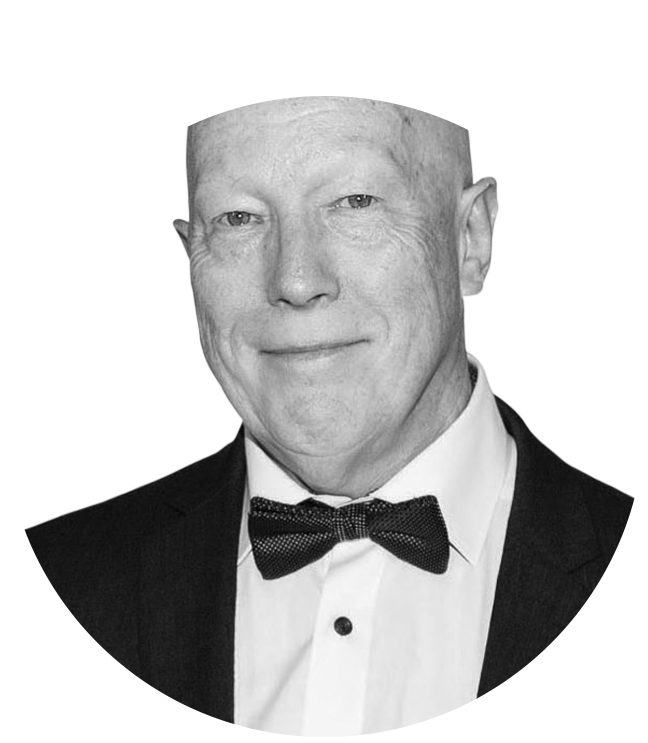 As a Financial Adviser, you understand what’s on offer, and you understand your clients. You can make sure they’re getting the best possible protection from an industry that’s full of noise and complexity. The challenge to providers is to produce easy-to-understand definitions, in simple intuitive language, which simultaneously offer great cover and are future-proofed for the decades the policy will last. When we achieve this as an industry, we'll make it easier for you to explain to your clients what they’re covered for. And give you peace of mind that you're recommending a quality product that won’t let your clients down when they come to make a claim. Nailing our colours to the mast We’re committed to the adviser community. It’s our only route to market. So we’re putting all our efforts behind supporting you to have better conversations with your clients. That’s why we’ve designed our products to fit with the advice process. Truly modular products that you can build to suit your clients’ needs. 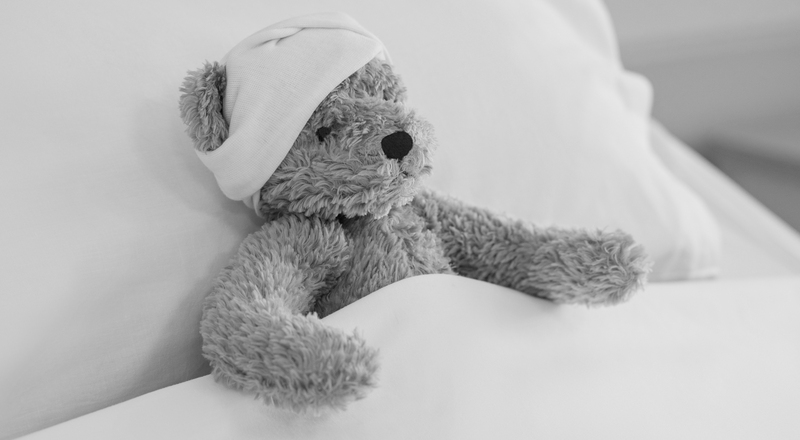 We offer critical illness cover without children’s cover because not all families have children. And you can add children’s critical illness cover to just life cover. We’ve used language that’s easy for you to explain and for your clients to understand. Our definitions are designed to pay out – over 80% of the most claimed-for conditions only need confirmation from a UK Consultant for us to pay. 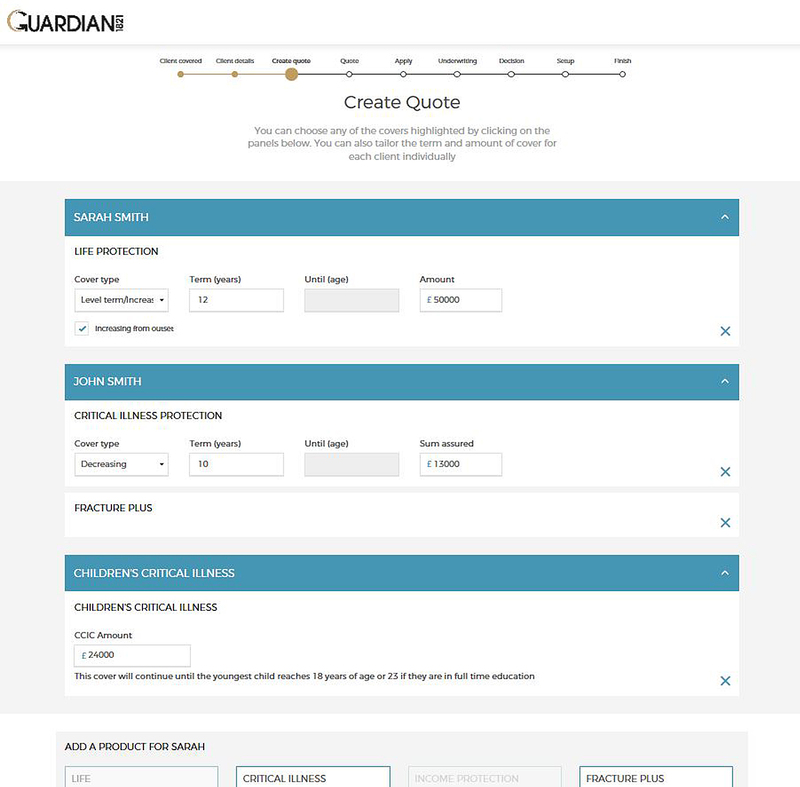 We’ve developed a new business platform called Protection Builder that allows you to create the most suitable product combination for each client. Our brand promise is ‘Life. Made Better.’ For us, ‘better’ isn’t about changing one big thing; it’s about improving lots of little things. ‘Better’ is our brand’s driving force. Our customers’ lives will be made better for knowing that they, and their dependants, have cover specially designed to never let them down. 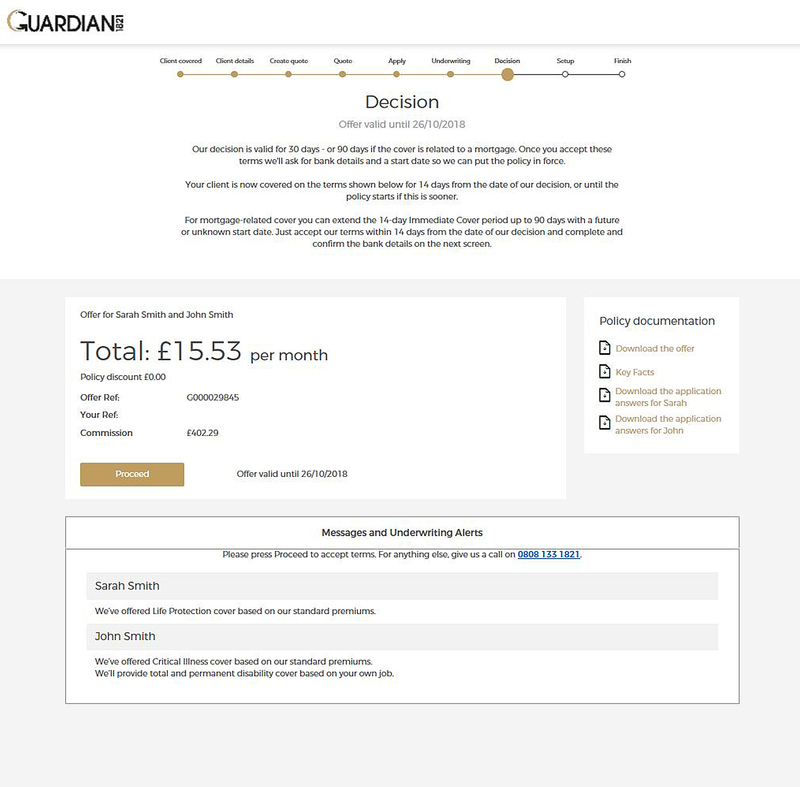 If you’d like to know more about Guardian or our proposition, speak to one of our Account Managers by emailing: sales@guardian1821.co.uk and someone will call you back. 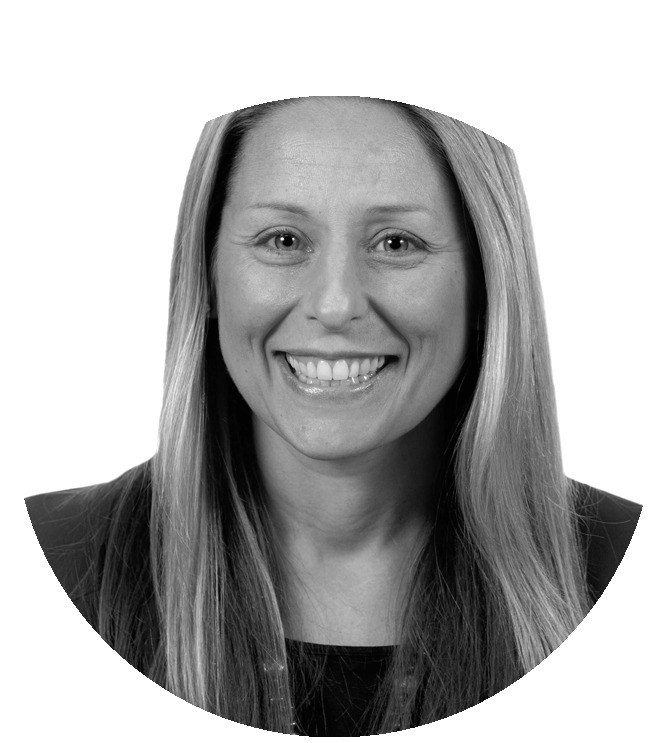 "Getting the right protection cover is one of the most important financial decisions facing consumers, and we wholeheartedly believe that working with a professional financial adviser is the best way to ensure they get the most suitable cover in place, taking into account their holistic financial circumstances. 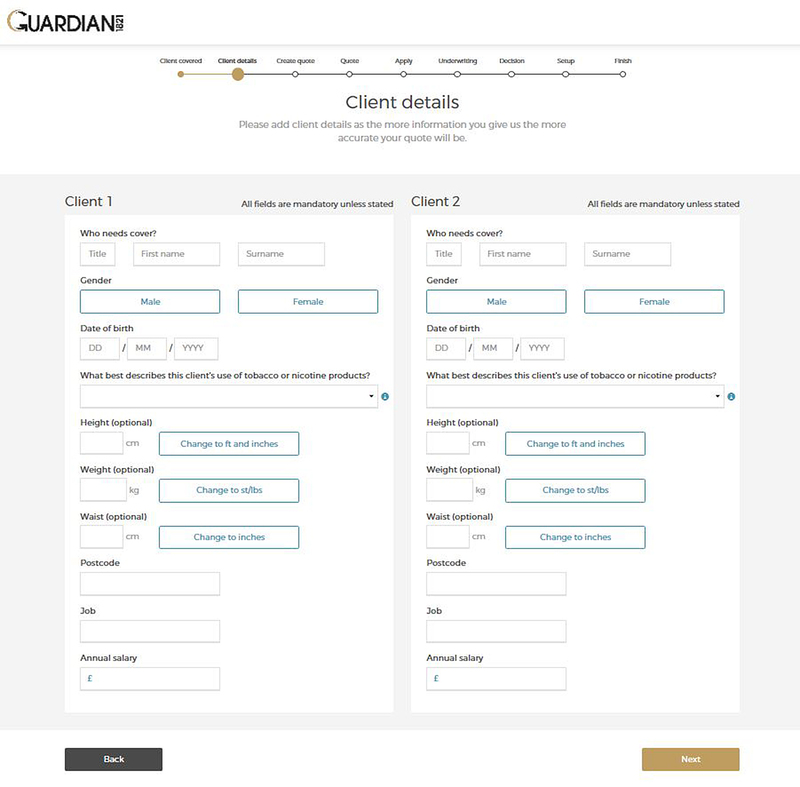 "We know that the advisers who use our services have welcomed Guardian’s clarity around definitions, and the work they have done around ensuring good outcomes for clients, right from the advice process through to handling claims. 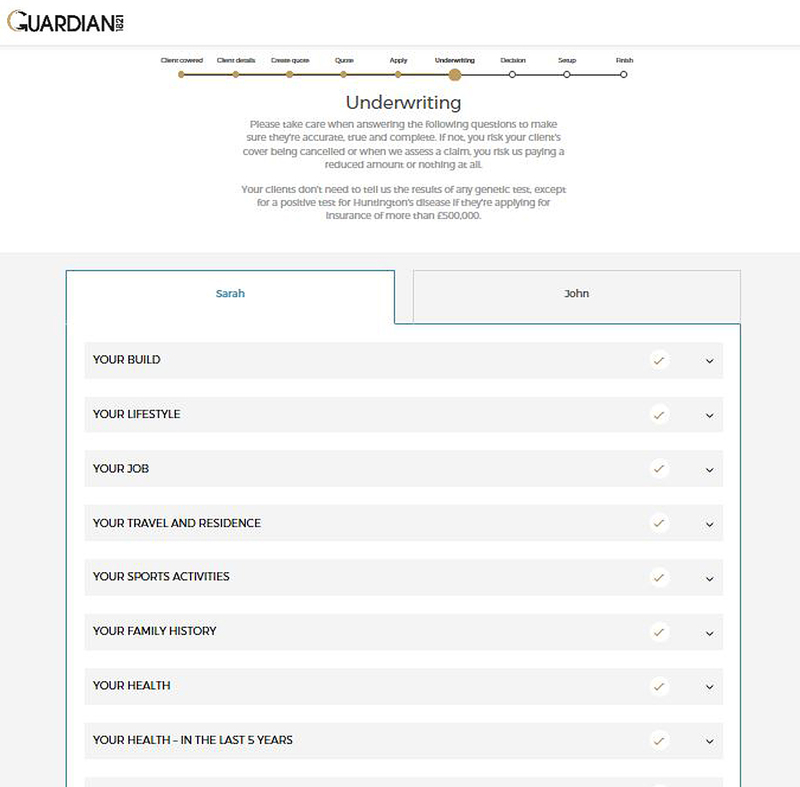 Guardian’s aim – to help advisers provide more protection advice in way which is really positive for the client – is a laudable one, and we are delighted to help them communicate that message to the market." Or if you just want to do business with us, CLICK HERE to go straight to registration.